Mega Fortune Dreams is a progressive video slot that contains 5 reels with 20 paylines. It was released back in 2014 as a creation of a famous Swedish developer, NetEnt, with offices in UK and Malta. They count over 200 various online slots in their extensive collection. One can see and enjoy it on their webpage. The theme of this amusing pokie is all about luxury, style and wealth. In the background is a picture of a yacht displayed in POV view, so the player gets the feeling like he’s actually there. As for the reels, they're all sparkly, even the regular card mark symbols are covered in diamonds! Graphics are great, as one would expect from a NetEnt slot machine. Symbols and perfectly designed and displayed in 3D. Following animations and sound effects complete the whole impression, which is at least very good! Background music is relaxing and suitable, creating a great playing environment. The value of a single coin ranges from 0.01 up to 1 and one can choose between 4 wagering levels. Those levels are essentially the amount of coins per one active payline. These two parameters determine the value of the bet, which can go from 20 up to 80, enlarging by 20 for each level. Mega Fortune Dream slot’s jackpot is progressive, which means that it increases by a certain amount with every taken spin. The theoretical return to player percentage is 96.4%. The additional bonus round is included, as well as free spins feature and multipliers. The autoplay option is embedded, too. It can be played for free, with no need for download or registration, or, if one wants, there is a real money gambling option. There is also a mobile version of this slot, which runs smoothly on both of the leading smartphone and tablet platforms, Android and iOS. There is no need to download any specific application, the game can be accessed directly through internet browser app. Those regular ones can further be divided into higher and lower-paying ones. Lower-paying symbols are displayed as golden card marks covered in diamonds. Higher-paying ordinary tokens are shown as various luxury accessories, among them the one that’s worth the most is a diamond ring, with a payout of 2000 for 5 of them landed on an active payline. The wild is illustrated as two palm trees. It has the ability to substitute all icons, except for the scatter and bonus tokens plus it also can make a winning combination on its own. For scoring a wild payout, one would need to land three or more of them on an active line. The free spins feature comes with an initial 3x payout multiplier. Every scatter landed during this feature increases the multiplier by 1 or 2 to the maximum of 10x, or awards the player 1, 2 or 3 additional free spins. If those costless rolls and astonishing multipliers aren’t enough, there is the Mega Fortunes wheel! If one manages to land 3 or more bonus symbols on the reels 3,4 and 5 during the main game, this additional feature gets triggered. It can’t be re-triggered and also the jackpot award can only be won through the bonus wheel. This feature leads to a new window that displays a wheel containing multiple layers marked with numbers or arrows. Peripheral layers bring smaller prizes and those, closer to the centre, worth the most. If the wheel lands on an arrow, the player progresses to the next, more valuable layer. The second and the third layer contain their jackpots, the “Rapid Jackpot” and the “Major Jackpot”. The center of the wheel itself represents the most valuable prize, the “Mega Jackpot”. With increasing multipliers in the free spins feature and the amazing wheel of fortune bonus round, this pokie is definitely worth a shot! And let’s not forget about the progressive “Mega Jackpot”! So, if one feels eager to play free Mega Fortune Dreams casino slot machine, a good place to find it would be on Money Online Slots. There one can come across games similar to this one, such as Diamond Slots. 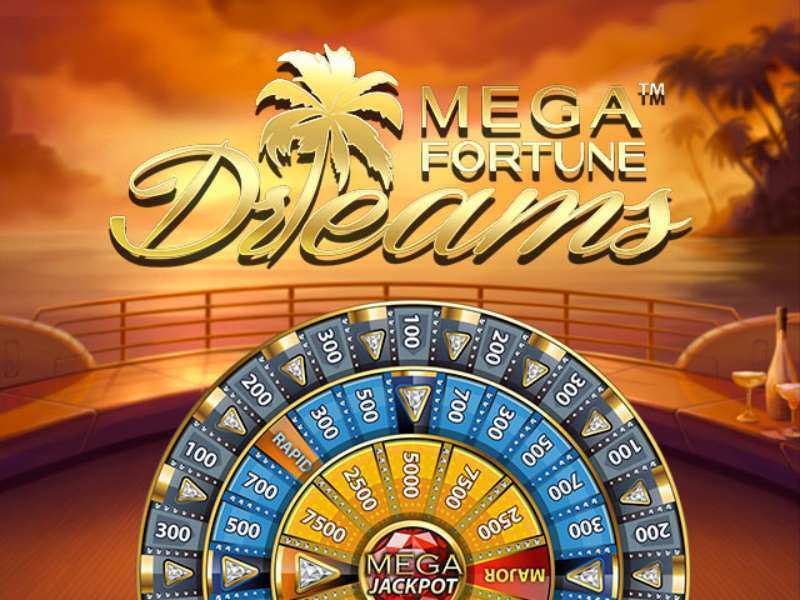 0 responses to "Mega Fortune Dreams Slot"